NEW YORK, Sep 5, 2012/ — Clothes, though they might be the most important element in a fashion show, is actually just part and parcel of the total look being proposed every season. Hair, make-up, shoes and accessories make up the other half. And, at the Degen Spring/Summer 2013 collection unveiled today here in New York, hair plays an important role in the brand’s whimsical theme for the season. 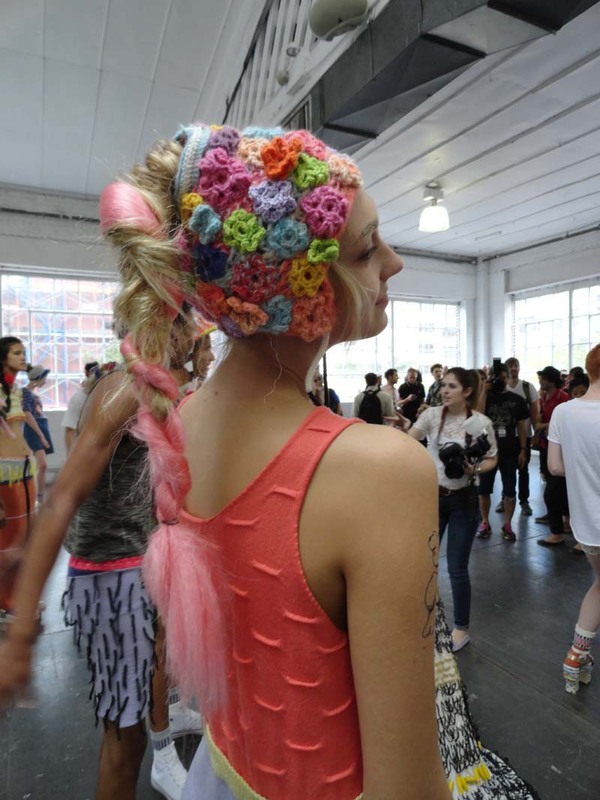 From the knitted caps and headbands to the pompons as hair decorations, the designers also choose hair extensions to give color to the natural hair of the model. Brown to pink hair extensions were braided in with dark and blond hair giving it a fun and edgy look. And the best part about this; you can try this look at home by just getting different shades of hair extensions online.